Wetsuit vs drysuit - Which is best for you while stand up paddle boarding? Wetsuit vs drysuit - Which is best for stand up paddle boarding? Both wetsuits and drysuits are standard gear for stand up paddle boarders. When dressing for cold weather, SUPers want clothing that won’t restrict movement. 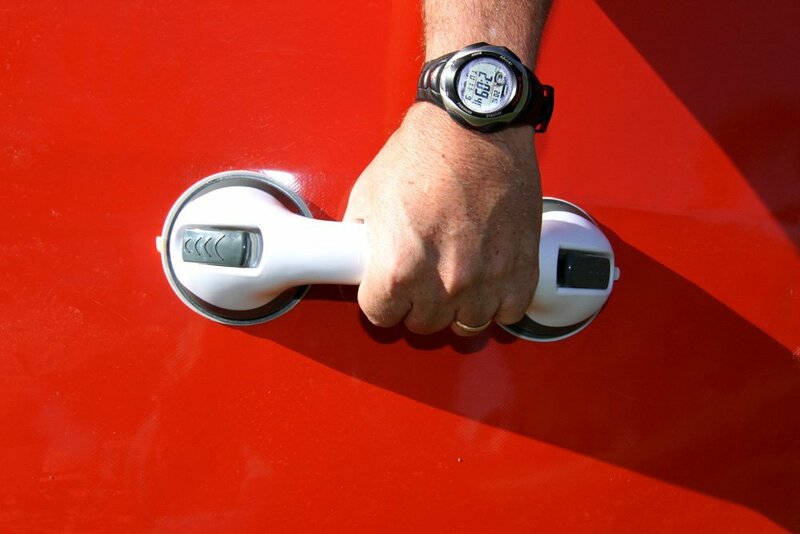 If you are planning to own one of these, the choice is personal. If you engage in a range of paddling you may want or need both. Even though the wet suit is designed for warmth you may opt to choose a dry suit since it proves to be warmer once underneath layers are added. The decsion for which to choose really depends on the degree and type of activity. The following video shows safety apparel and its effectiveness in cold water immersion environments. Narrated by Gordon Giesbrecht Ph.D. 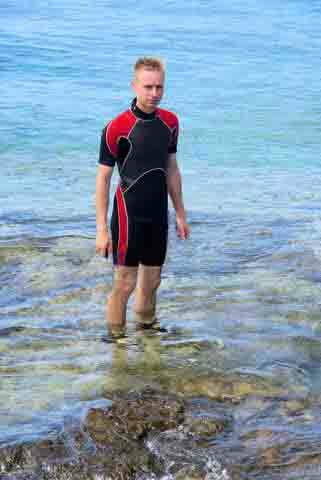 Wet suits are made of a rubber neoprene. They are designed to keep you warm, especially if wet. A proper fit is key to experiencing the warmth your wetsuit is rated for. It's not waterproof, so a loose fit will let too much water in and cause chills. A skin-tight fit it what you’re looking for. If it becomes wet, your body temperature will warm the water absorbed by the neoprene to keep you warm. There is no need to wear clothing underneath, although depending on temperature you may want to wear a thin layer such as a swim suit, or a full thin liner if paddling in very cold weather. Paddlers’ wetsuits are generally 2 to 3 mm thick. There are full-length suits that cover your entire body and may include booties, or shorty suits that are typically cut above the knee and to the elbow for warmer weather. If you are paddling in extreme weather you might consider a getting a thicker suit such as can be found at a dive shop. It’s always a good idea to ask other boarders what they’re wearing for a particular situation. Neoprene﻿ doesn't breath so your neoprene wetshoes can begin to acquire foot odour over time. The following video gives some solutions for how to maintain and keep your wetshoes as fresh as possible. A drysuit is made of waterproof material (various materials are used). It is basically a shell with seals at the neck and wrists to keep the water out, and the boot is built in. 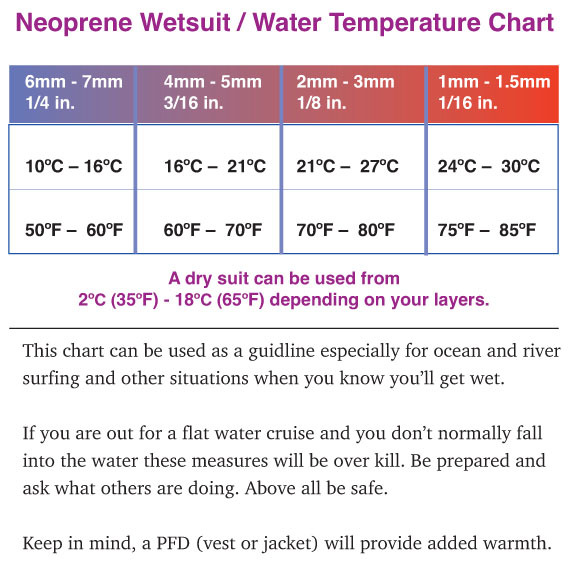 These suits are not designed for warmth, so you need to consider the temperature the drysuit is rated for and layer underneath to address weather conditions. The typical suit is designed with divers and kayakers in mind, but is widely used by SUPers and works well. Some drysuit manufacturers are beginning to design specifically for stand up paddlers: lightweight, good fit, and with room for thermal layers for cold days. In 2012 a company in Victoria, B.C. Canada (OceanRodeo.com) designed the first drysuit specifically for paddle boarders called the "Soul". Today they offer the "Heat", "Soul" and "Ignite". These suits are unisex in style and come in a range of sizes. See reviews at the following link. This "Kokatat" lightweight Gore-Tex paddling suit can be purchased at REI. Ideal for cold weather flat water paddling. 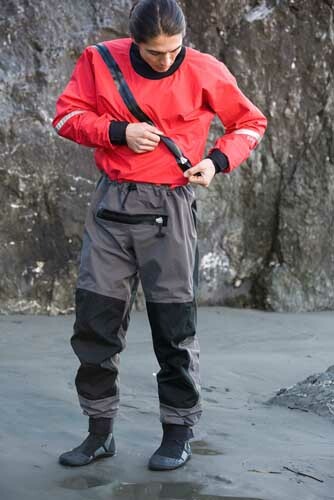 This suit is not intended to replace a full dry suit during more challenging conditions e.g. very cold water or whitewater. Drysuits, wetsuits and rash guards. You may need all three depending on your paddleboarding preferences.